With Christmas and holiday parties literally peeking right around the corner, it’s about time that we talk holiday looks and styling! I chose this gorgeous LBD by Raga as the base for this holiday outfit, and then added multiple layers to create the perfect look. If you aren’t familiar with them, Raga is an incredible clothing company that boasts a modern bohemian style. Their pieces are gorgeous, unique, and perfect for the holidays. This little black lacy number is PERFECT paired with some over-the-knee suede boots and a fun faux fur – or throw it over some leggings or tights and booties for a more understated and laid-back look. 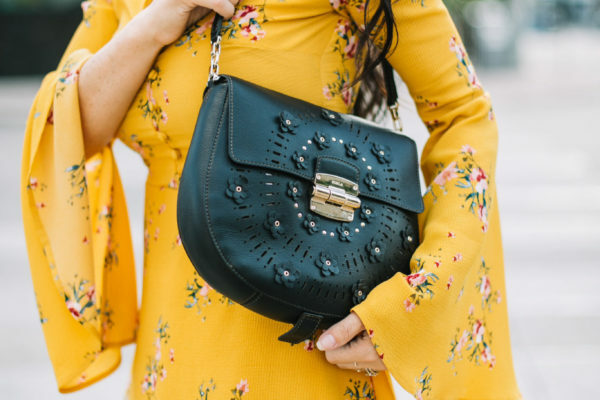 I absolutely LOVE the details in the dress, and it’s versatile enough that it can absolutely be worn before (and after) the holidays have come and gone. I threw in a fedora to add to the bohemian feel of the look, and then wanted to highlight the gold tones in the fur by accessorizing with some beautiful pieces like my new favorite watch from Nicole Vienna! I like adding a little pop of gold into my holiday looks, makes things feel a little more festive. I added the watch and this sweet little clutch from Melie Bianco that has a pretty gold tassel. 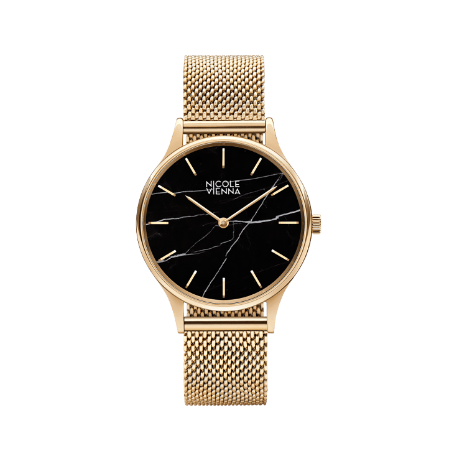 I love that the Nicole Vienna watch has a black marble face and gold mesh – it’s super chic and dresses up every outfit I pair it with – and right now their ENTIRE site is 30% off!! Which means it’s the perfect time to go finish up those last-minute gifts and capitalize on the discounts! Do you guys have any dresses you’re dying over for the holidays? Tell tell tell. I love hearing from you! All photography by the oh-so-talented Lori Gola – if you’re in Austin you MUST get family pics, seniors etc. done with her. So much yes. Love your dress!! You look fabulous. Awe thanks sweet girl!!! So appreciate that!! So happy to see your smiling face! Absolutely love all of your daughters costume ideas. Too cute. And of course, I always love how you do boho. Thank you so much love!! Adore you! love the dress and the boots, great look!